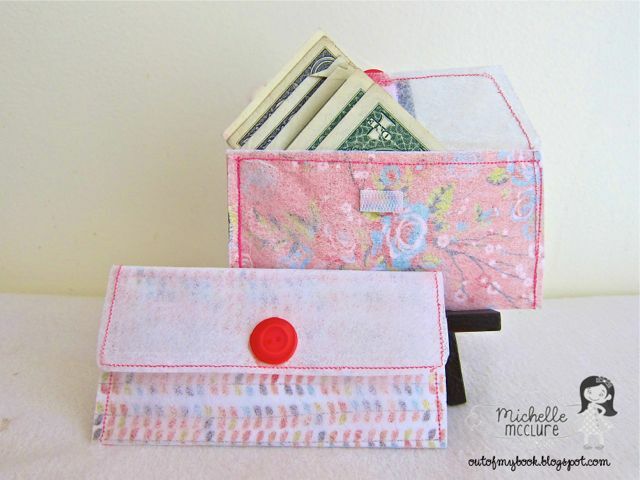 Hey PMB friends, this is Michelle here and I'm so excited to share with you this project today! I was looking on Tipnut's blog on using recycled items and saw this tutorial on making an envelope using dryer sheets. It looked so cool I just had to try it! I also turned the envelope into a money holder as this is the month for Dads and Grads, and thought this would be a cute way to package a money gift. 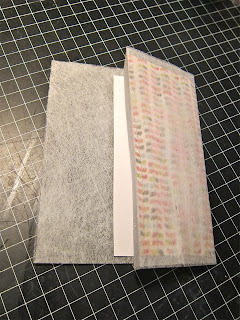 The best part is that the dryer sheet gives regular patterned papers the texture of expensive handmade Japanese washi paper! And it smells great too. I bet if you didn't tell the recipient, they'd think you used really fancy paper. Take two pieces of dryer sheets, layer them and iron them flat to get out the creases. The heat will adher the two sheets together. If you want more of a translucent look, then just use one sheet. 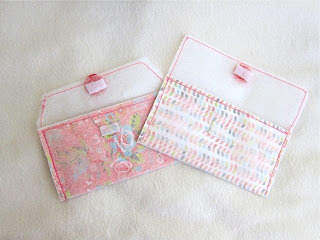 Take a piece of 6 x 6" Konnichwa patterned paper and folded it in half and wrap the dryer sheet around it. The longer section of the dryer sheet will become the flap. 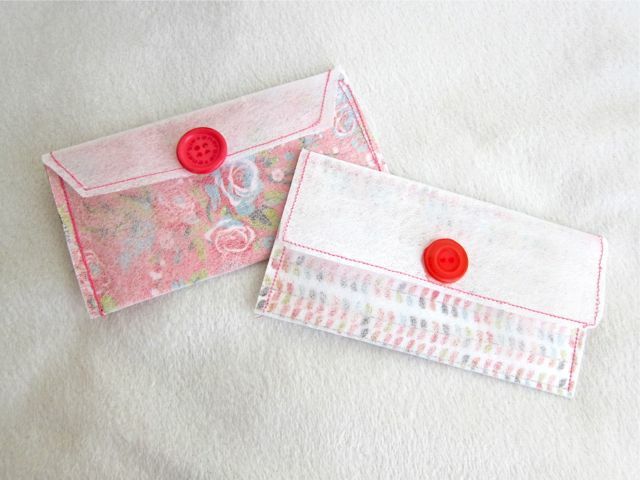 You can trim the edge of the flap to look like an envelope, or round the corners to look like a wallet. 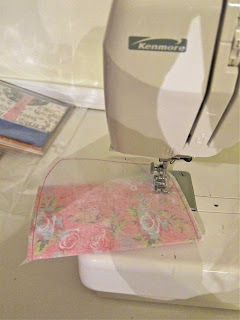 Machine stitch around the edges, except for the opening. Adhere on some velcro if you want the holders to be secure. I used Fabric-tac. Glued a decorative button on the front to cover up the back of the velcro. This is a really easy project and it is even better in person as you can't feel the texture or smell the fresh scent via a blog. 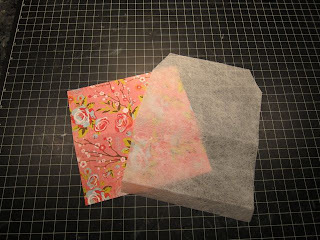 The dryer sheet is a perfect pairing with this month's Cherry Blossom kit as you can make your own washi paper. What an awesome idea!! I just loveeeeeeeeeeeee this!!!! Pinning this project!!! So creative -- and perfect for this kit and this gift-giving "season"! Great project! Such a neat project! Love it! Such a great idea! Would never have thought of that! What a great idea and you only use 6x6?! I have a ton of those! LOL! THanks for the wonderful inspiration!! aww these are way too cool...great idea..